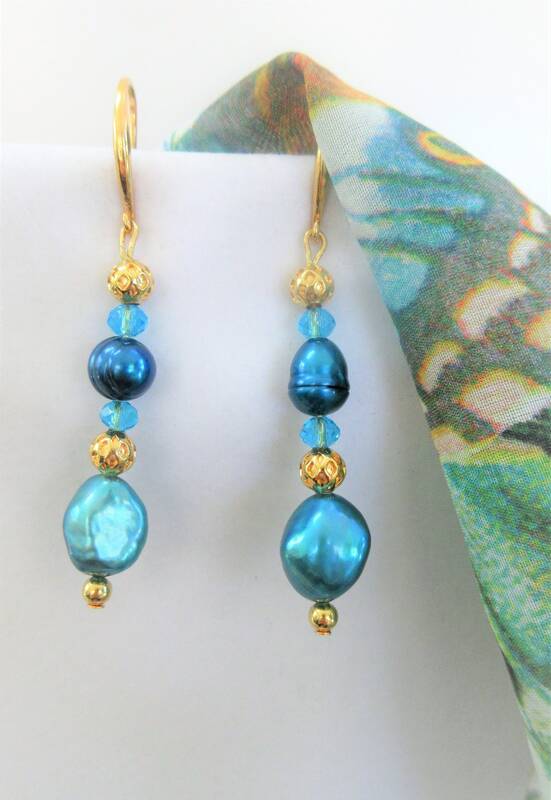 Beautiful cultured freshwater pearls are always in style--their elegance is effortless and their versatility is a forever. 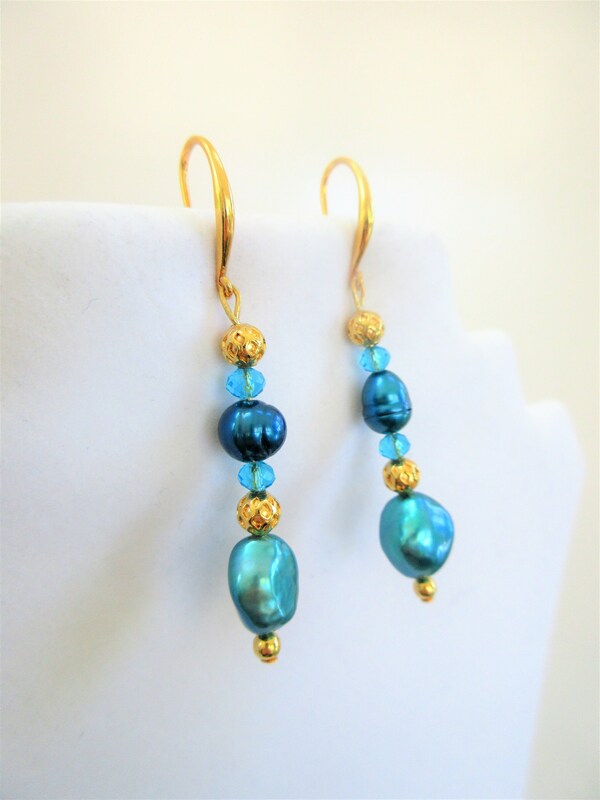 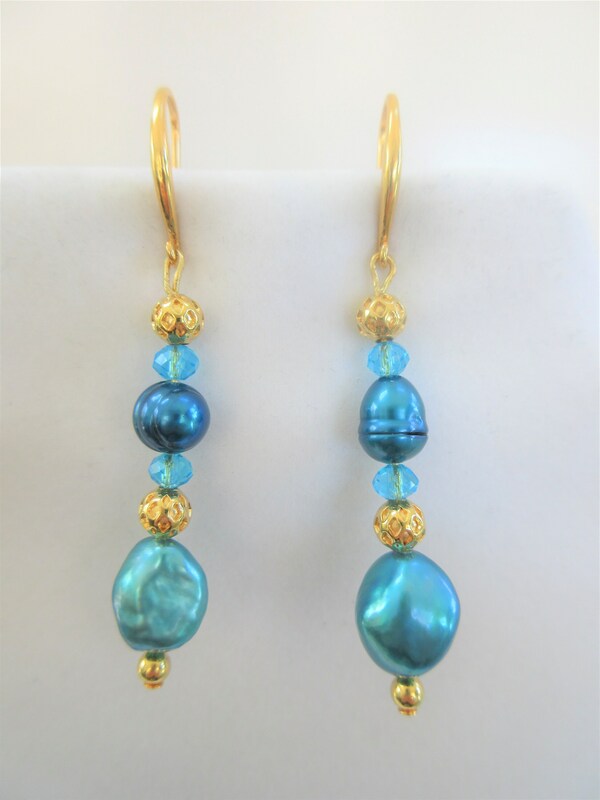 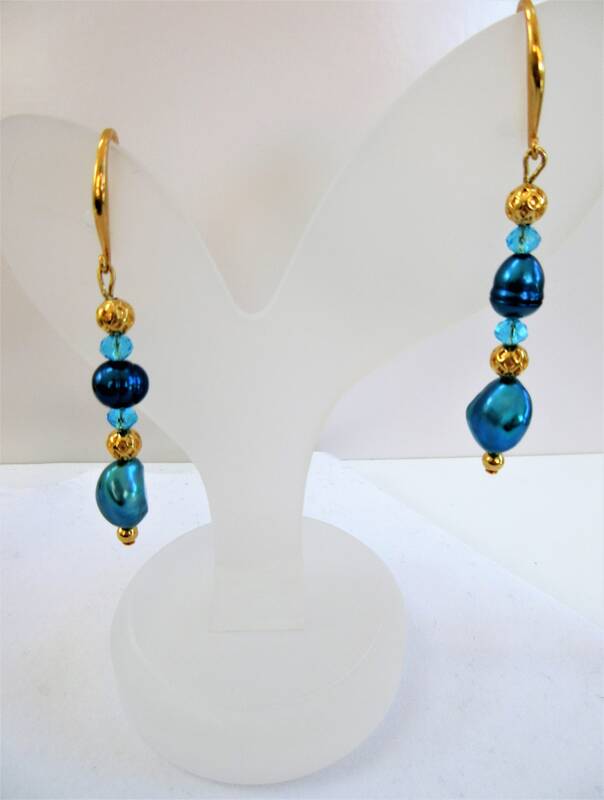 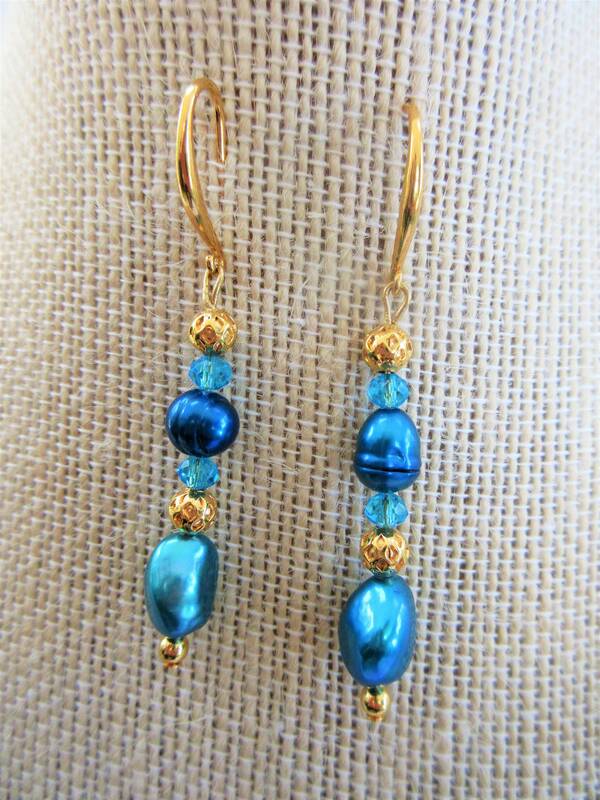 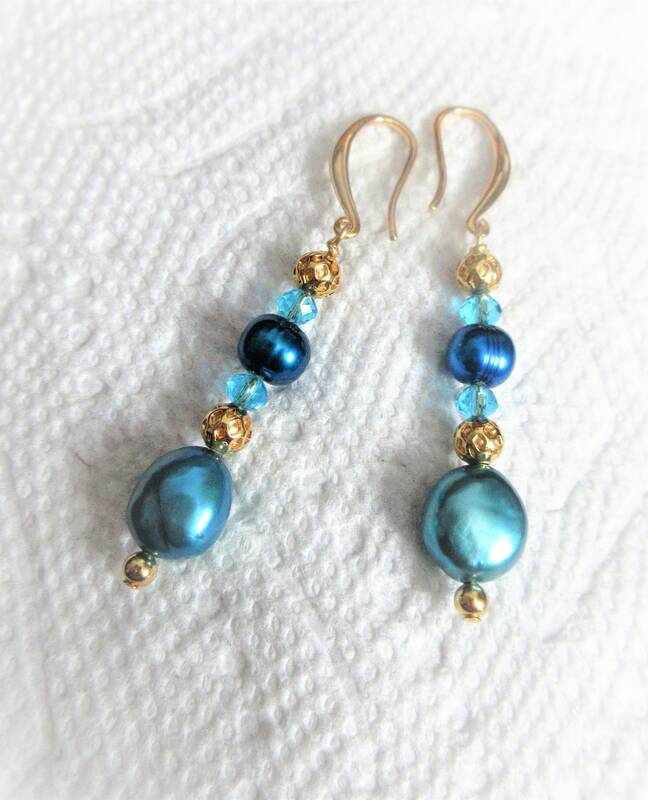 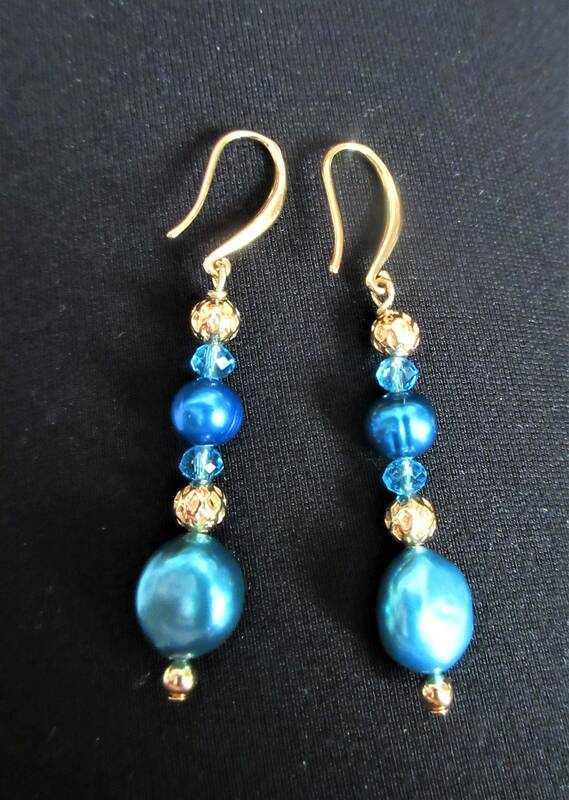 Genuine Cultered Freshwater teal pearls with 14k gold beads,gold ear hooks. 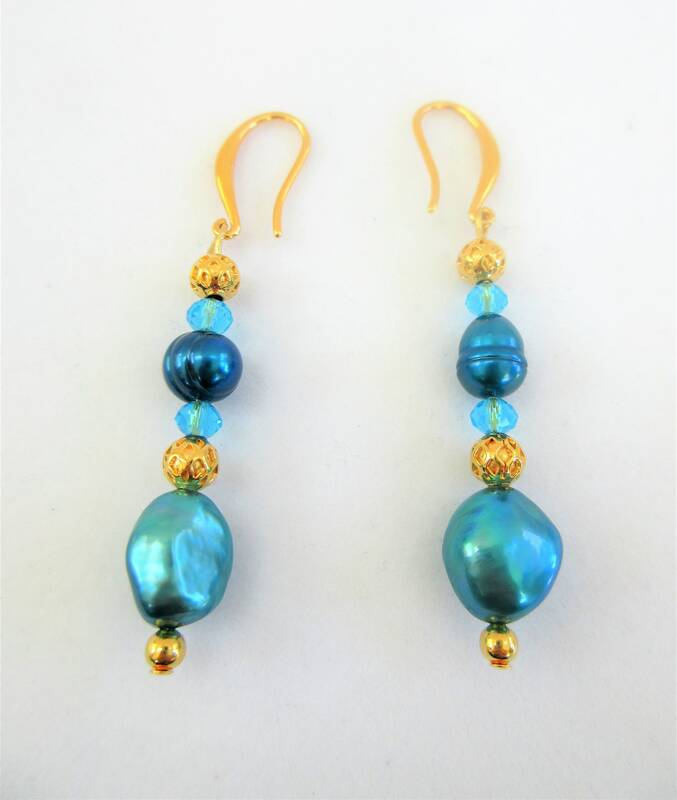 The finest pearls, crystal and gold hooks. 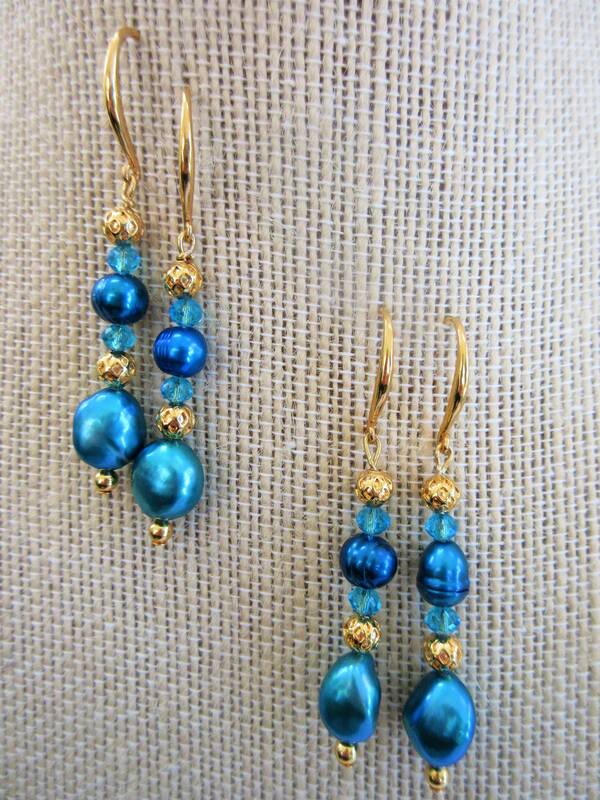 I hand wire each earring, Every pearl is hand matched, but expect slight difference in these natural pearls .